Note: This is the third installment of a series of blog posts reviewing Bart Ehrman’s new book, How Jesus Became God–The Exaltation of a Jewish Preacher from Galilee (HarperOne, 2014). For the prior post see here and here. Not surprisingly, one of the major tenets in Ehrman’s argument is that Jesus never considered himself to be God, nor ever claimed to be God. In order to make his case, Ehrman summarizes his arguments from his book, Jesus: Apocalyptic Prophet of the New Millennium (Oxford, 2001), and says that Jesus just viewed himself as an apocalyptic prophet who was ushering in the Kingdom of God (basically Albert Schweitzer redivivus). Needless to say, this all works out a little too neatly. 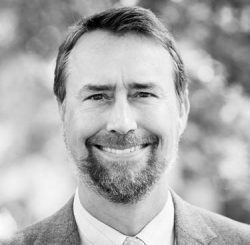 Ehrman portrays his critical methods not only as something that all scholars agree upon, but as something that leads to clear cut, unambiguous results. Left unsaid is the fact that the criteria of authenticity themselves have come under tremendous fire from scholars of all stripes (e.g., see Chris Keith and Anthony Le Donne, Jesus, Criteria, and the Demise of Authenticity [T&T Clark, 2012]). Even more, the specific criterion of dissimilarity (which fuels much of Ehrman’s reconstruction) has been vigorously debated and, in the minds of many, is fundamentally flawed. On top of all of this, even scholars who agree on the criteria reach radically different conclusions about how those criteria should be applied. Given that Ehrman has spent much of his academic career lamenting reconstructions of early Christianity which portray it as neat and tidy, and given that he is quick to point out that early Christianity was, in reality, full of debate and disagreement, it is ironic that he seems so unwilling to point out those same challenges within his own discipline. The truth of the matter is that reconstructions of the historical Jesus do not give us some clear and simple division of sayings where the human Jesus is on one side and the divine Jesus is on the other. It is much more complex than this, and Ehrman owes it to the reader to make that plain. Take as an example Ehrman’s dismissal of the sayings where Jesus identifies himself as the Son of Man. This move is not at all consistent with much of modern scholarship, as can be seen by the collection of essays in the recent volume, Who Is This Son of Man? (eds. Larry Hurtado and Paul Owen; T&T Clark, 2011). If Jesus did see himself as the Son of Man, and the evidence suggests that he did, then there are numerous places in the Synoptics where Jesus sees himself in what is arguably a divine role. For instance, in Matt 26:63-65 (cf. Mark 14:62/Luke 22:67-71) Jesus not only identifies himself as the Son of God, but then also identifies himself as the Son of Man coming to judge the world on the clouds of heaven—an identity that the chief priests regard as worthy of the charge of blasphemy. So, even if one were to discount the Gospel of John, there is ample evidence elsewhere for Jesus’ divine self-understanding. But, there is another problematic aspect to Ehrman’s methodology. Slipped into the discussion (rather subtly) is the expectation that if Jesus really thought he was God he would go around talking about it all the time. Indeed, this is the very point of Ehrman’s argument when comparing John and the Synoptics: “If Jesus really went around calling himself God [in John], wouldn’t the other Gospels at least mention the fact?” (87, emphasis mine). There are several problems with the way Ehrman frames the question. For one, Jesus doesn’t always go around calling himself God even in John’s Gospel. There are only a handful of times where Jesus explicitly claims to be God in John—not nearly as out of sync with the Synoptics as Ehrman would claim. Beyond this, Ehrman’s statement presents an expectation that if Jesus were God he would always say it directly, something like, “Good to meet you, I am God.” But could Jesus not present himself as the God of Israel in other ways? For instance, is it not relevant that Jesus presents himself as the judge of the world, who will sit on God’s glorious throne, who reigns over the angels, and is the key to people’s eternal destinies in heaven or hell (Matt 25:31-46)? Is it not relevant that Jesus forgives sins, a prerogative that the scribes regard as solely belonging to God and thus worthy of the charge of blasphemy (Mark 2:5-6)? Is it not relevant that Jesus claims to have such a special relationship with the Father that “all things have been handed over to me” and that a person cannot know the Father unless “the Son chooses to reveal Him” (Matt 11:27)? And more examples could be given. We can agree that John’s Gospel makes such claims to divinity even more direct—as the last Gospel it is not surprising that it offers a more sustained theological reflection on the person of Jesus. But, we should not confuse the directness of a claim with the existence of a claim. The historical evidence suggests the Synoptic Jesus and the Johannine Jesus both claimed to be the God of Israel. Last week I mentioned that I have begun a new series on my blog responding to Bart Erhman’s latest volume, How Jesus Became God–The Exaltation of a Jewish Preacher from Galilee (HarperOne, 2014). For the prior posts in this series, see here and here. Future posts will come over the next few weeks. Many of the posts in this series (though not all) will be drawn from my full-length review of Ehrman’s book. I have just learned that Reformation 21 has now posted that full review here. The review covers a lot of ground, ranging from early Christian views of semi-divine figures, to whether Jesus claimed to be God, and to whether the NT writings contradict one another in regard to Jesus’ divinity. I wish I could have covered more, but there just wasn’t space. In the end, it is difficult to know what to think of Ehrman’s new volume. 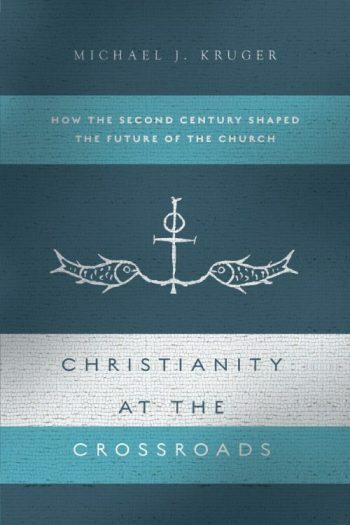 While it certainly provides a helpful introduction to some of the key issues in early Christology, it is hampered by a problematic methodology, a lopsided treatment of some of the historical evidences, and a disposition bent on finding contradictions and problems (that may not actually be there). Note: This is the second installment of a series of blog posts reviewing Bart Ehrman’s new book, How Jesus Became God–The Exaltation of a Jewish Preacher from Galilee (HarperOne, 2014). For the prior post see here. Ehrman’s core argument is that Jesus was a mere man who gradually, over time, came to be regarded as more and more divine, until he was ultimately (in the fourth century) regarded as the God of the universe. He states, “It will become clear in the following chapters that Jesus was not originally considered to be God in any sense at all, and that he eventually became divine for his followers in some sense before he came to be thought of as equal with God Almighty in an absolute sense. But the point I stress is that this was, in fact, a development” (44). In other words, Ehrman argues that the earliest Christians did not understand divinity as something that was “all or nothing”–it could have gradations. It is no surprise, therefore, that Ehrman begins his volume with a discussion of “gods” and semi-divine beings in the Greco-Roman world because this was a world which clearly did view divinity as something that could have degrees. The problem with such a starting place, however, is that the earliest Christology was not born in a Greco-Roman context, but in a decidedly Jewish one. Indeed, it was born into a Jewish world which was concretely monotheistic. And in a monotheistic Jewish world, there are no “half-way” gods. Much of the clear evidence for the ways in which Second Temple Judaism understood the uniqueness of God has been neglected in favour of a small amount of highly debatable evidence. Intermediary figures who may or may not participate in divinity are by no means characteristic of the literature of Second Temple Judaism (5). . . Methodologically, it is imperative to proceed from the clear consensus of Second Temple monotheism to the more ambiguous evidence about so-called intermediary figures. (13). Ehrman commits the very fallacy that Bauckham describes—he highlights the limited number of ambiguous or debatable passages about supposed semi-divine figures and uses those instances to override the larger and more established monotheistic trends in first-century Judaism. The problem, of course, is that even if his interpretation of these passages is correct (and that is questionable), these passages at best represent only the minority report. And why should we think the earliest Christians held this fringe/minority view of divinity when they formulated their ideas about the identity of Jesus? Or for that matter, why should we think Jesus himself held these minority views when he expressed his own identity? Each of Ehrman’s examples of supposed semi-divine figures cannot be addressed here, but he bases his argument primarily on angels, particularly the mysterious “angel of the Lord” phenomenon in the OT. However, the idea that early Christians saw Jesus in the category of an angel runs contrary to numerous other lines of evidence. For one, Jesus is clearly distinguished from the angels (Mark 1:13; Matt 4:11), given Lordship over the angels (Matt 4:6, 26:53; Luke 4:10; Mark 13:27), and exalted in a place above the angels (Heb 1:5, 13). In addition, Jesus is accorded both worship (Matt 28:17; Luke 24:52) and the role of creator (1 Cor 8:6; Col 1:16; Phil 2:10-11)—two key marks of God’s unique divine identity within Judaism—whereas angels are never portrayed as creating the world, nor as worthy of worship (Col 2:18; Rev 19:10, 22:9). Ehrman attempts to overcome these clear restrictions on angel worship by flipping them around to his advantage: “We know that some Jews thought that it was right to worship angels in no small part because a number of our surviving texts insist that it not be done. You don’t get laws prohibiting activities that are never performed” (54-55, emphasis his). Yes, you don’t get laws prohibiting activities that are never performed; but at the same time you can’t use laws prohibiting activities as evidence that those activities actually represent a religion’s views! It would be like using the Ten Commandments (which are filled with prohibitions) to argue that ancient Judaism was a religion that embraced idolatry, Sabbath-breaking, adultery, murder, coveting, and so on. Again, Ehrman is using what is, at best, a condemned and fringe activity (angel worship) as characteristic of first-century Judaism.That simply doesn’t work as a model for how early (Jewish) Christians would have viewed Jesus. There has been a lot of buzz about Bart Ehrman’s latest volume, How Jesus Became God (HarperOne, 2014). Ehrman tackles the issue of early Christology, in particular how early Christians came to regard Jesus as divine. In case anyone is wondering, I am currently working on a review of Ehrman’s new book and hope to have it out soon. In the past, I have reviewed a number of his books, including Misquoting Jesus, Jesus Interrupted, and Forged. While the topic of each of these books varies, Ehrman’s overall point is always the same. It is the standard I-used-to-believe-Christian-belief-X-but-now-I-know-it-is-wrong message. There are already other great reviews out there, such as the one from Andreas Kostenberger and, of course, the full-length response, How God Became Jesus (Zondervan, 2014). In the meantime, I am slated to be interviewed about Ehrman’s new book tonight at 9PM (EST)/6PM (PST) on Greg Koukl’s nationally syndicated program Stand to Reason. I have enjoyed going on Greg’s program in the past (see prior interviews here, here, and here). Tune in if you can!